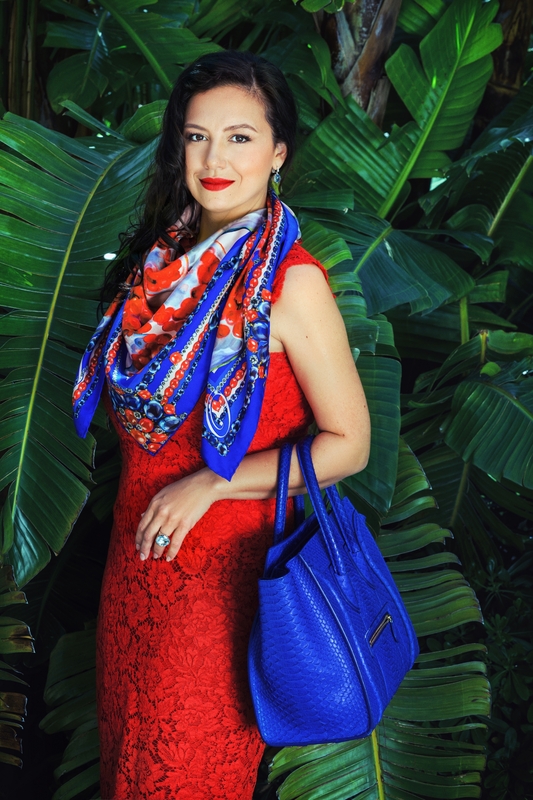 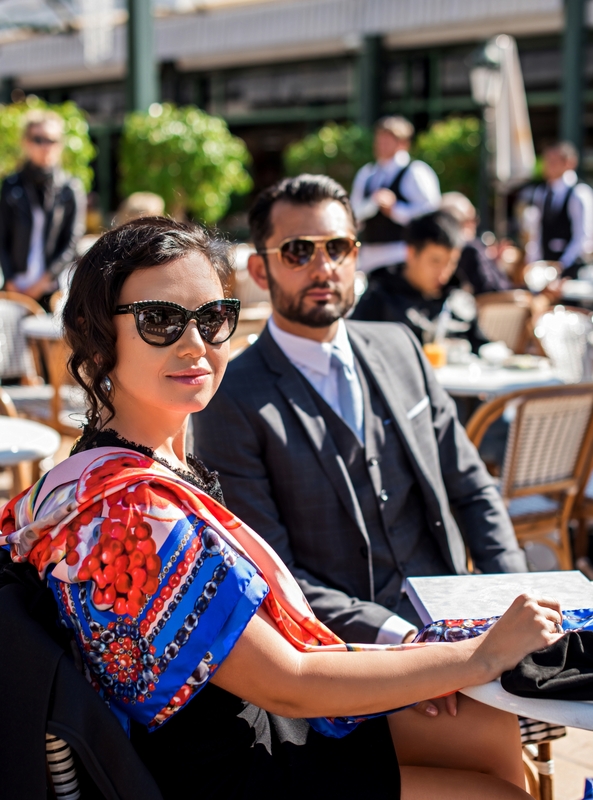 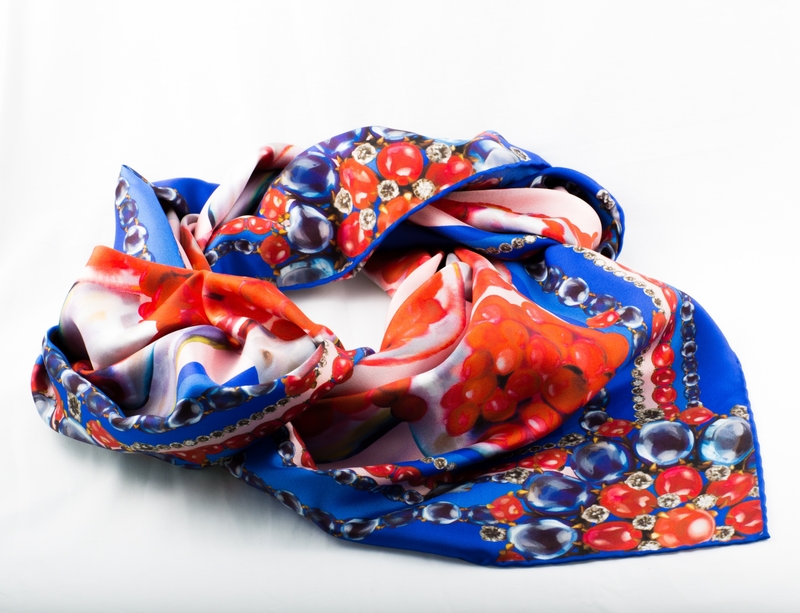 Scarf “Pomegranate – symbol of eternal life” - bright memorable memorable for the modern woman. 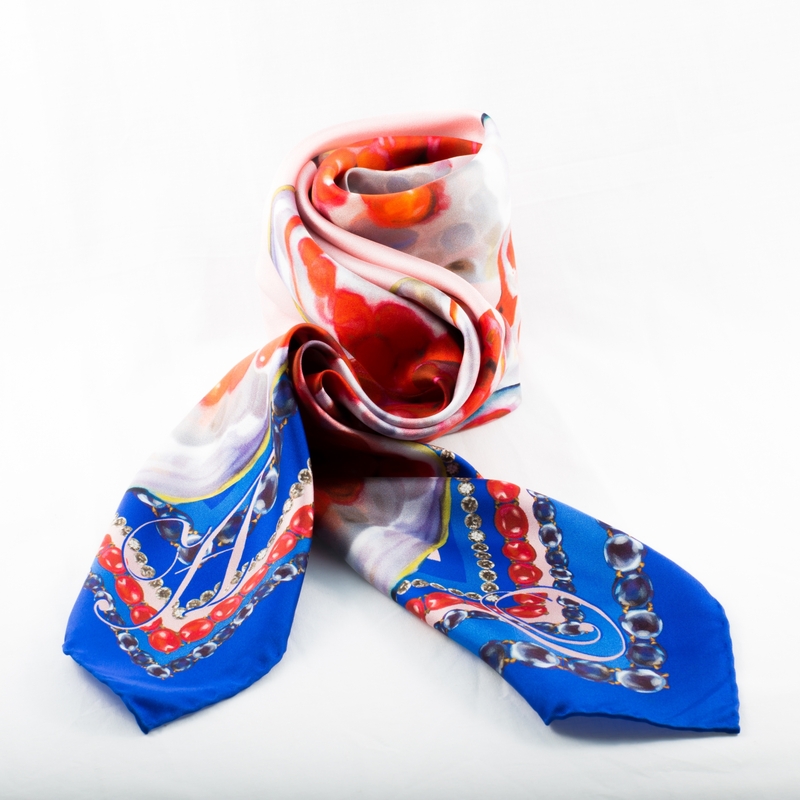 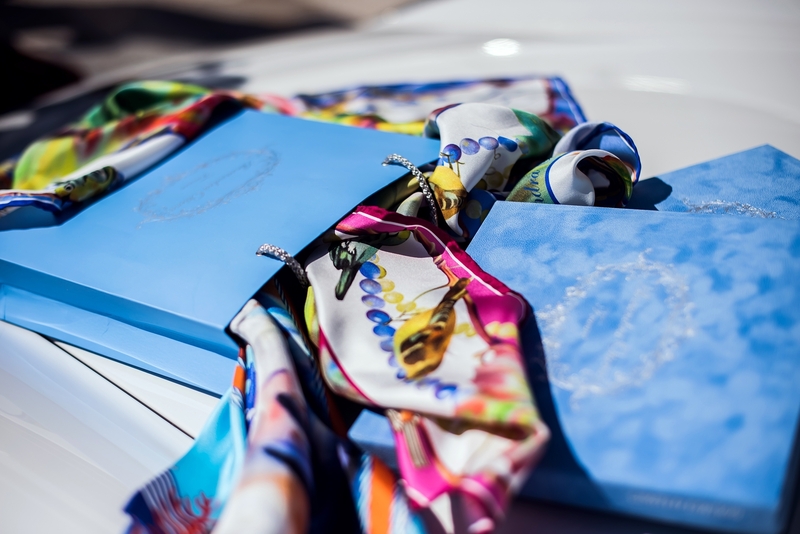 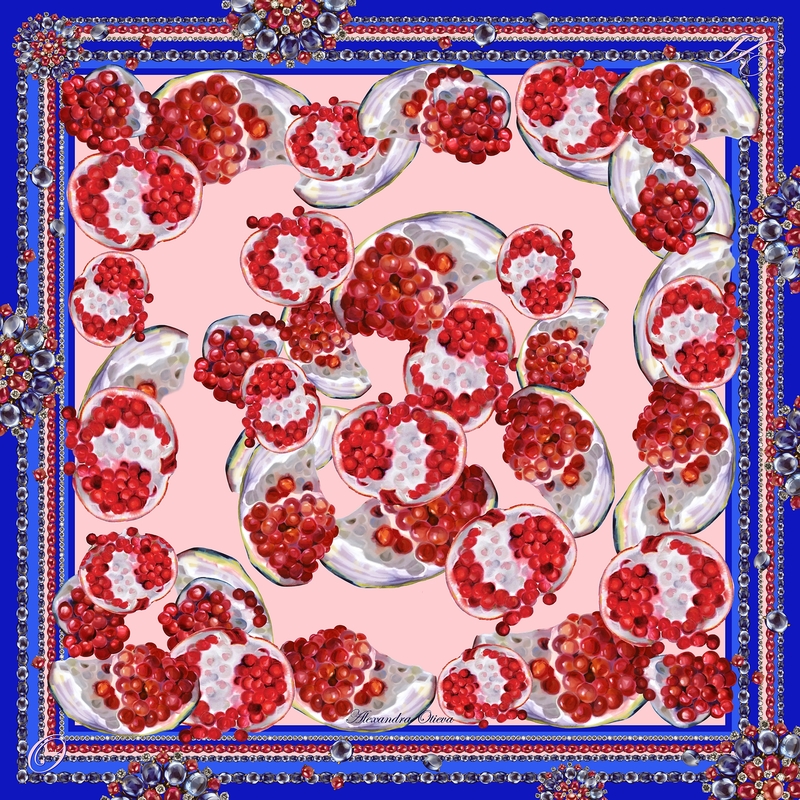 Alexandra Otieva used a conceptual approach in the design of this scarf: its composition is centered around her painting “Pomegranate”, and the scarf's edge is decorated with a fantasy on pomegranites as precious stones from one of Alexandra's favourite jewelry houses – Italian Bulgary. 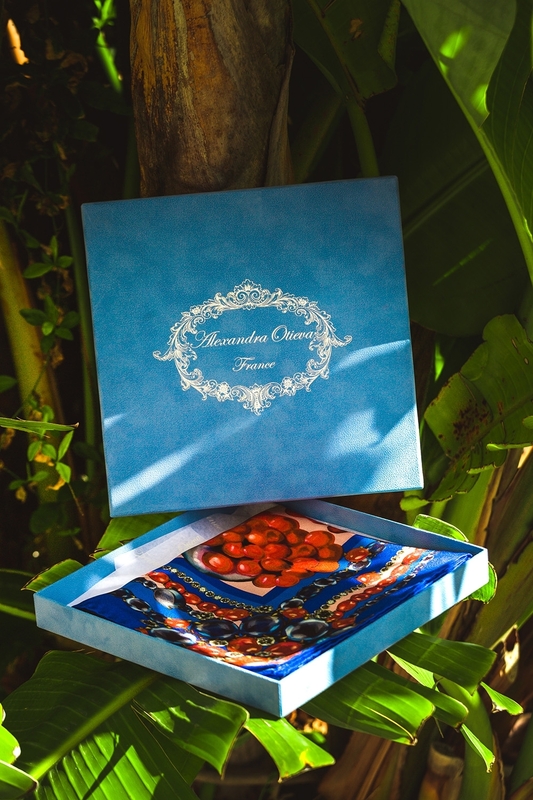 Jewels with pomegranate stone are suggestive of success and abundance.